If you are looking to augment your physical workout with some intellectual exercise, look no further than the Baltimore & Annapolis Trail. 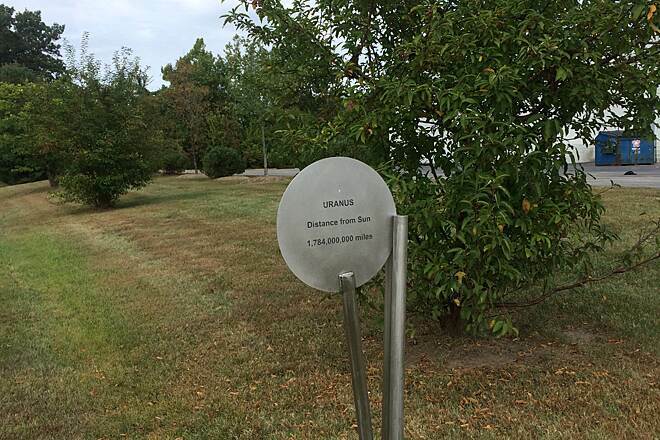 The scenic, paved, 13-mile community trail is brimming with history lessons and boasts a solar system of information. 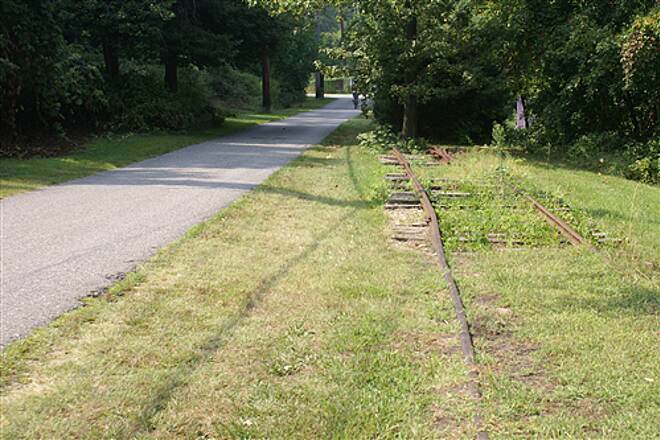 The B&A Trail follows the route of the Annapolis and Baltimore Short Line, that started running freight and passenger service in 1880 and helped shape this suburban region near the nation's capital. 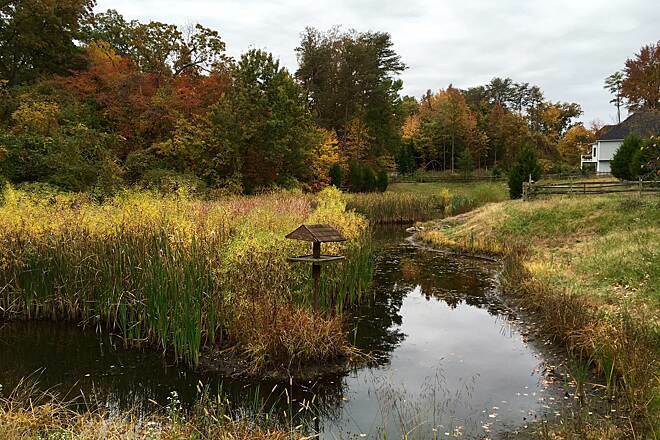 Today, the 112-acre linear park winds through parks, neighborhoods and natural wooded areas. The trail passes the Marley Station shopping mall for those looking for some retail therapy to accompany their trek. 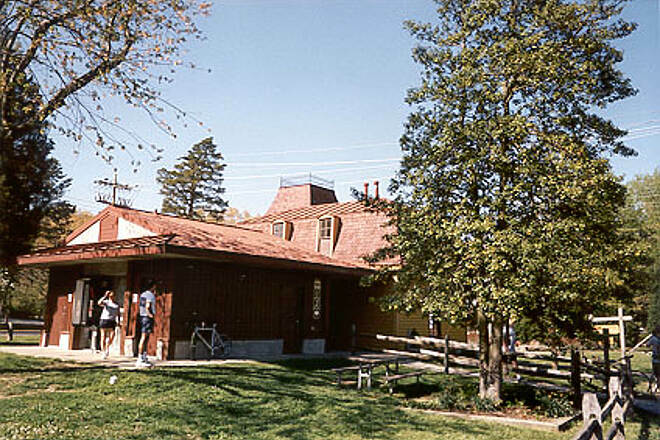 For the history buffs, stop in to the Earleigh Heights Ranger Station, ca. 1889. 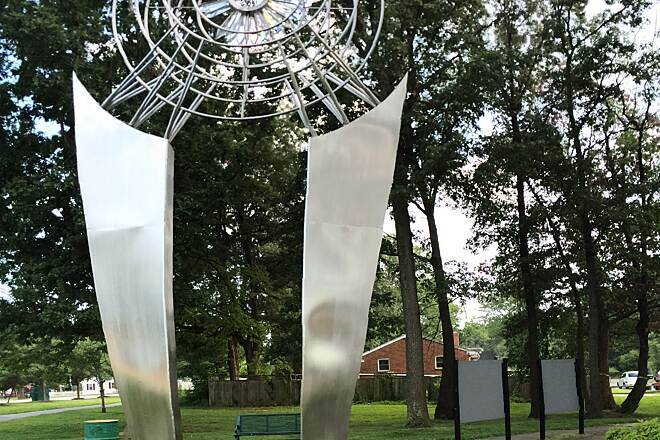 The trail features several pocket parks along the way—charming, landscaped nooks with picnic tables and an open invitation to rest your feet for a spell. 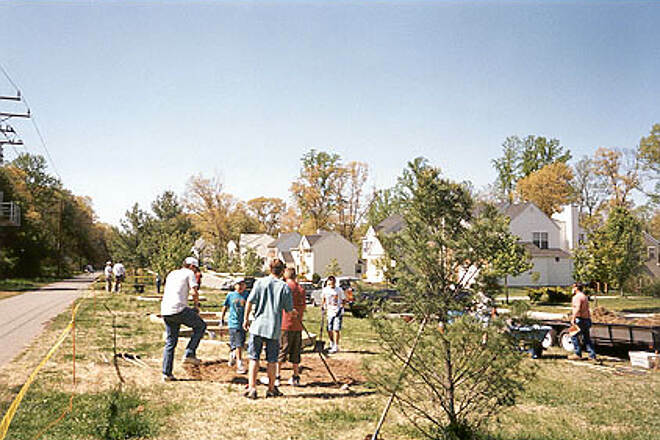 One such park in Severna Park is near the Park Plaza Shopping Center (intersection of Baltimore Annapolis Road and W. McKinsey Road) where local bike shop Pedal Pushers caters to trail riders with rentals—and the local pizza and frozen yogurt shops adjacent don’t hurt either. The B&A also takes its beautification seriously. Portions of the route are sponsored by volunteers who fill the flowerbeds and kiosks along the trail, lending it a colorful, seasonal flair. 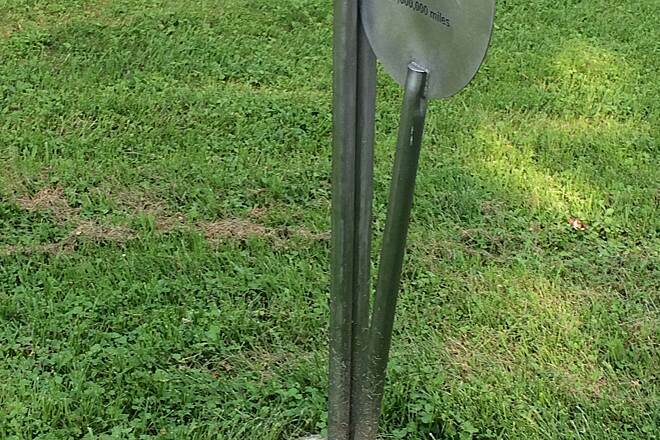 Along the trail you will find a literal alphabet of historical markers, from A to Z. 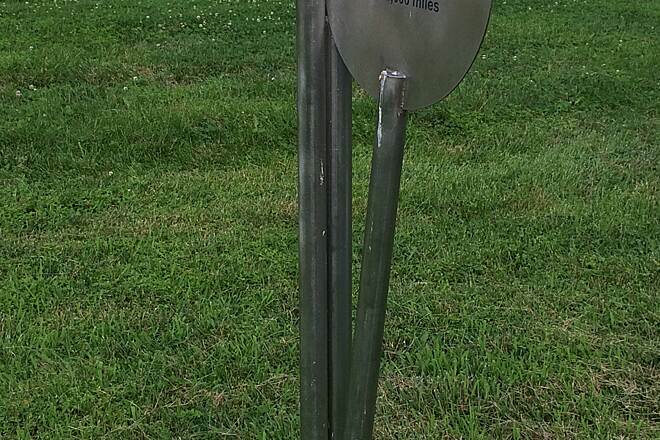 The A marker, at mile 0.1, is the Winchester Station House at Manresa near the Annapolis start of the trail. 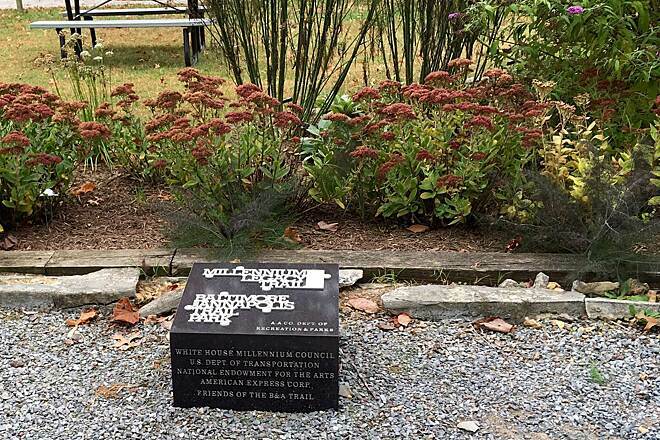 At mile 13.3 you will find the Z marker identifying the Sawmill Branch, the area's source of water and power in the early 18th century. To follow along with each marker, you will want to pick up a flyer at the Ranger Station. Near Harundale Mall you will come upon the Planet Walk, a linear museum with educational displays for the sun and each planet. 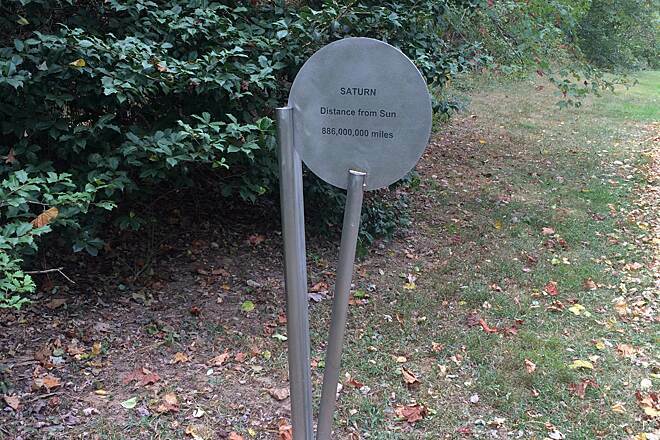 Sponsored by NASA, the planets are true to scale and have educational storyboards that teach about our solar system. 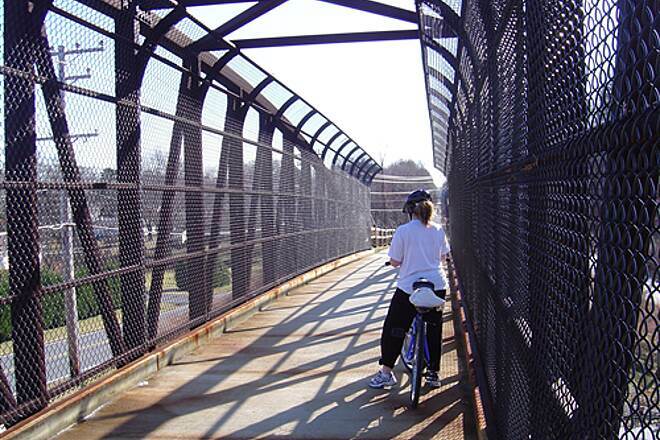 The trail, and its educational opportunities, end in the small town of Glen Burnie. 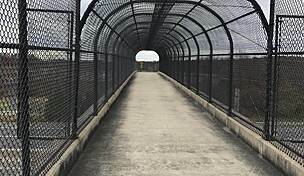 But you may continue via the John Overstreet Connector to the BWI Trail loop for an additional 12.5 miles around Baltimore-Washington International Airport. The Annapolis trailhead is located off US 50 past the Severn River. Take Exit 27 and head south toward the Naval Academy on State Route 450. The parking lot for Jonas Green Park is on the right. There are directions to the trail via an on-road bike lane on the board near the entrance of the parking lot. 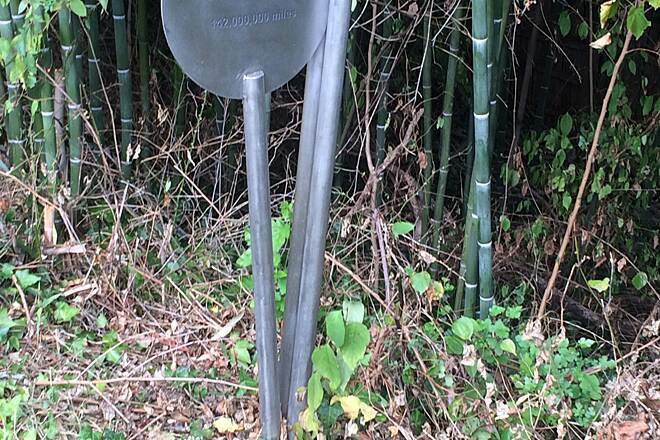 The actual rail-trail beings at Boulters Way. 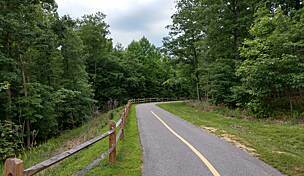 To reach the Glen Burnie trailhead, take US 50 east from Washington, D.C., to Exit 21 and follow Interstate 97 north. Take Exit 15 leading to SR 176 east (Dorsey Road). Continue on SR 176 before turning right onto SR 648 (Baltimore and Annapolis Blvd.). At the first light, take a right on Crain Highway then a right onto Central Avenue. The parking lot is on the right and runs along the trail. today I did the first time the B&A trail with my wife. We cycled starting up by the Baltimore Airport and traveled all the way down to the trail and not realizing that you can actually continue on a cross over into Annapolis. That said the trail has gentle gradients and for Monday was amazingly busy just Beware of the crowds but it is a quick SafeRide plenty of rest stops and a beautiful environment. This was a fun trail. It has good hills, easy grades, lots to see (look for the traffic light, in the trees), and plenty of rest spots. 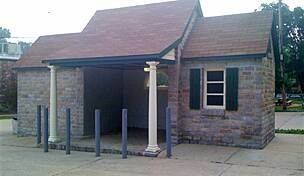 If you are a fan of trains, like me, there are old train depot foundations, tracks, signs with the history of the railroad, and old rail boxes. At about the half way point, there is a Ranger station, that had air, water, and restrooms. I look forward to doing it again. First time in this trail on a Saturday morning in a warm day. 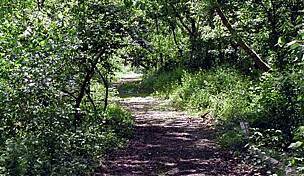 The trail is nice and well maintained but very difficult to maintain a constant cruising speed. Foot tracking is heavy on Saturday day so I recommend Sunday early morning or during the week. Depending on the time of day the trail will have same nice shaded areas however to many city cross roads interrupts the trail with frequent stop signs. 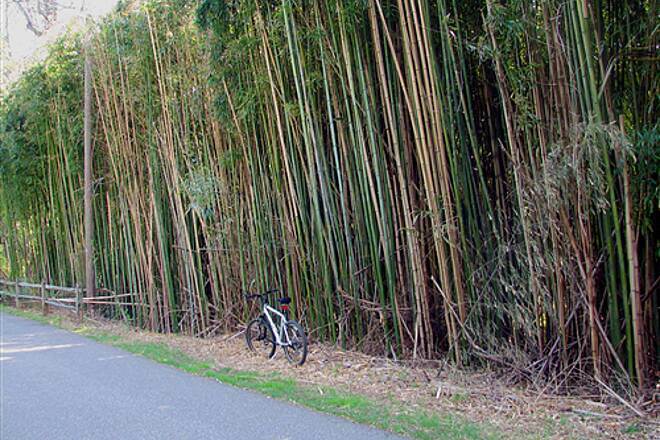 Nice trail for leisurely ride with plenty of rest stations and even coffee shops along the way. Rode this trail earlyish on a very hot Saturday (95+). 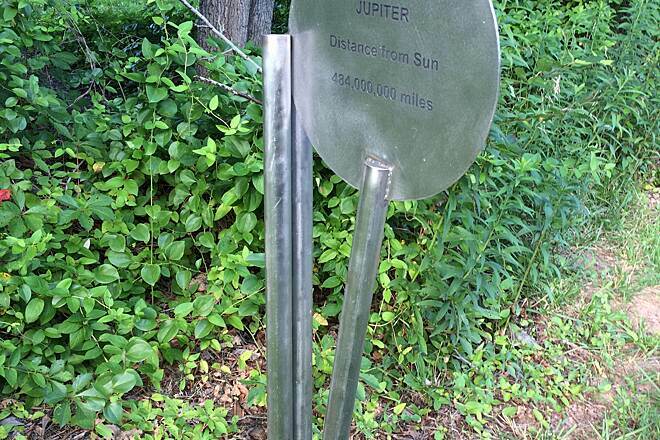 It's a great trail, but not much shade, so make sure you're wearing sunblock. Beautiful foliage as trail meanders through neighborhoods. Many benches to sit and rest, talking crosswalks, and a large shopping mall if you want to take and air-conditioned break for lunch. Very little shade and two dangerous crossings. I rode this trail from 11-4 on a Thursday, Aug 13th. There are very few stretches which are shaded. I wore sunscreen and still got burned. At the Post and Central , Crane Highway crossing, the push button walk device is broken so you take your chances crossing when the light is red for you but cars are turning anyway. There is another crossing over a wide, high speed road that has no lights at all, just a painted crosswalk ignored by all the speeding drivers. That is one hell of a dangerous crossing. One short stretch of the trail had one drug addict and one street person sitting on the benches plus a staggering drunk on the trail itself. I didn't feel endangered, but had the drunk not been accompanied by someone who pulled him aside when I rang my bell, that could have been hairy. 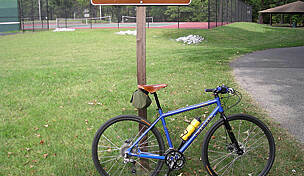 Otherwise, it was an adequate ride from the BWI trail down to Jones Station and back. 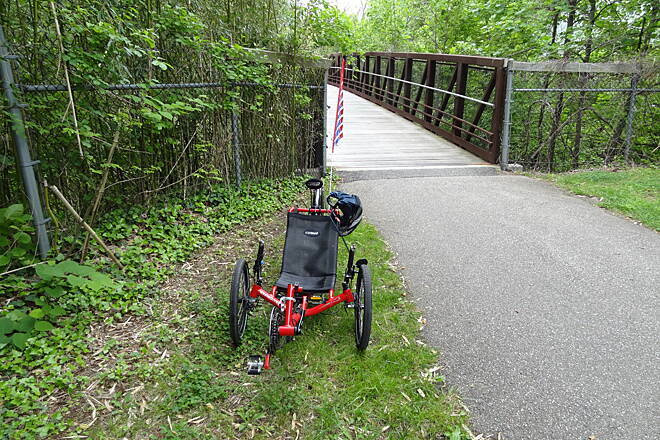 This was my first experience using TrailLink to select a new trail for a bicycle ride. Over the years, I have ridden many trails in VA, MD, GA and NC not using Trail Link; but I thought I would give it a try having been away from MD for 8 years. 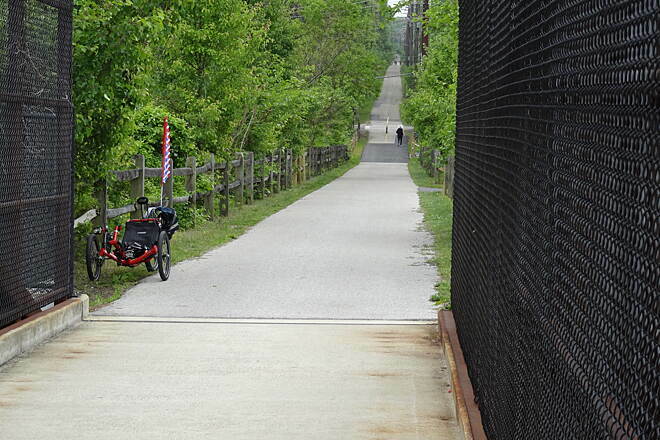 I selected the Balto-Annap Trail based on reviews I read on the site. I am in good physical condition and I'm comfortable riding as a solo female. This was not my favorite trail and I didn't feel totally safe riding it. The Glen Burnie parking lot area is located next to some "questionable" businesses where I saw some people hanging out who were not there to use the trail. If I ever ride it again, I will drive farther down the trail and park in a different lot where there were more cyclists. 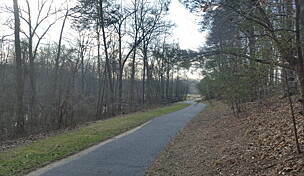 Overall impression is that this MD trail was well-maintained and a nice distance for a round-trip ride of 26 miles. The areas where you have private residences have attractive landscaping and cute flower beds are planted along parts of the trail. 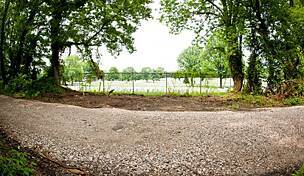 But you do ride along the backside of strip malls with dumpsters etc, and you pass through some more isolated areas with little walking paths into the "woods." So you may see individuals just appearing out of the woods, who are not dressed for exercise. Compared to trails I've ridden in NC and GA, I didn't feel as safe. 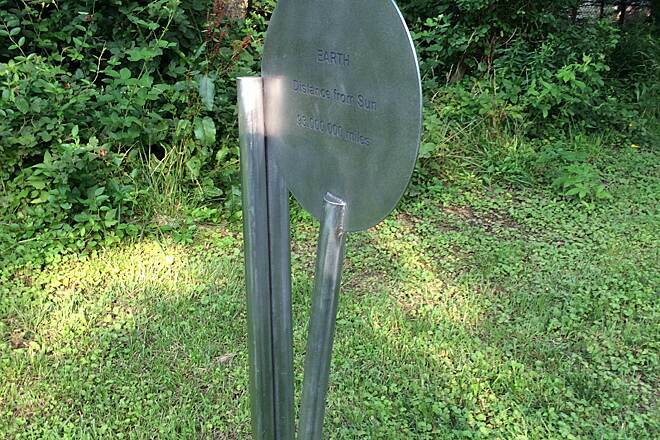 It may be because this trail is located outside of metro Baltimore and a bigger city. One important thing to mention, based on previous reviews, I thought this trail would offer a decent amount of shade. To the contrary, about 95% of this trail is in the direct sun. There is very little shade. Please wear sunscreen, appropriate clothing for hot weather and take plenty of water! You do not get a break from sun beating down on you! I have rode this trail in its entire length several times and love it for a number of reasons....one, it is mostly flat. Two, it has a lot of places to stop to eat and rest. Three, much of it is shaded. Last, two bike shops are in close proximity to it. On hot days, go early. 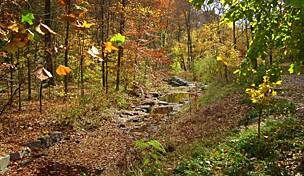 Other than arguing with a lady who chided me for not warning them as I passed them I have never had a problem on the trail even in Glen Burnie which can be a trouble spot I hear lol. Very scenic, very neat. This is a great trail to get in a good long distance ride that actually connects two places. I actually did this from my home in Brewers Hill, did the Middle Branch trail over to Brooklyn, then took some roads to get to BWI trail, then took it the whole way down to Annapolis (33 miles). It does get a little bit crowded on weekends, but people are all pretty considerate as long are you're not a jerk. It's mostly tree-lined as well, and has frequent nearby access to restaurants, ice cream places, gas stations, and a bike shop about halfway down. The guy below who said there are "ethnic" neighborhoods is flat-out ridiculous. I know he means "black," but even that isn't true. Most of the trail goes through some of the whitest communities in Anne Arundel county, if that's what you're concerned about. He's clearly never ridden any of the Baltimore city trails that go through actual ethnic communities of which I've never had a problem with anyone. I know that once in awhile some teens will mess with some people in the city, but after 2,000 miles of city riding through Brooklyn, Curtis Bay, Pigtown, Downtown, and Patterson Park, I've never had anything close to a problem. I rode trail for 1st time last wk. My suggestion start early for 2 reasons heat and crowds. Great trail for family and friends either walking, cycling, running or just enjoying scenery. In a perfect world, a trail like this would have less foot traffic and fewer road crossings. That said, this trail still has a lot going for it. I ride it on weekdays and park at the public lot in Glen Burnie with no problem. I suspect that it may be more crowded on weekends. Heading towards Annapolis, there is a lot of stopping for the first few miles, but after that it improves and you can maintain a more steady pace. The tail is paved the entire way and is in pretty good shape. It is relatively flat and shady as well. It passes through nice scenery, some parks to rest, and even some suburban conveniences (a bike shop also). The neighborhoods are OK and I have never had a problem here. I don't perceive them as high-crime areas at all, but rather mixed pleasant communities. 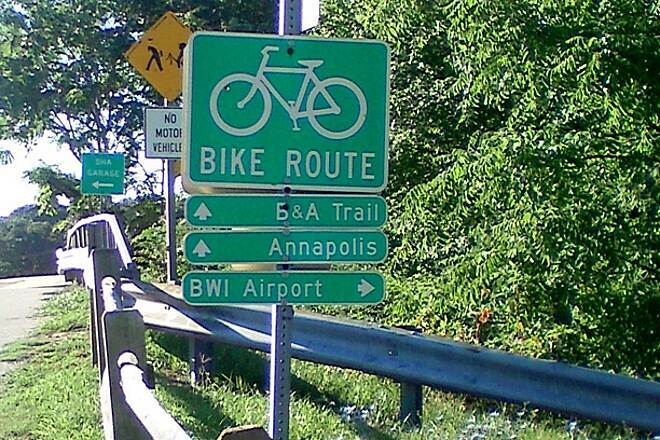 Being able to bicycle all the way from BWI airport to Annapolis (approximately 22 miles) on a dedicated off-road trail is a great accomplishment in itself. Over that distance in a city like Baltimore, of course you will pass through some "ethnic" areas. If one views ethnicity and diversity as American cultural advantages, they will enjoy what this trail has to offer. As far as the road crossings, most (but not all) of them cross suburban streets where the traffic is relatively light and the motorists courteous in letting you pass ahead of them. I did this trail almost three years ago and had a very nice ride so I though I would do it agan. 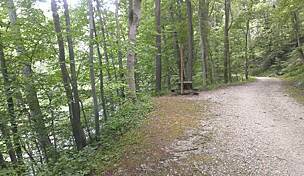 It is a very well maintained trail. There was a lot of traffic on this trail but for the most part walkers, bikers, and runners all got along well. If you are a Railroad history buff they show a few of where some of the passenger station where and some of the history of the line. There is a lot of shade and a lot of street crossings but there all well marked and all have crossing lights. At about the midway point there is a ranger station with nice clean restrooms, park benches, picnic tables, water and a lot of shade. I would say this is a real family friendly trail. I saw a number of bikes with trailers a quite a number of kids on bikes. Saturday June 15, 2013 4pm to 6:30pm. Conditions: Blue Sky, slightly cloudy, light wind, 86F to 91F according to the bike computer. This was a great ride. I started and finished at the parking lot near RT 50 and Richie Hwy, and rode north, where I connected to the BWI Trail which I took clockwise around the airport. Although it was sunny, the amount of tree coverage over the trail provided a cool ride. I only used the two water bottles I took with me. The person who found the area too ethnic could say the same about the whole DC - Baltimore area. If one likes the metro area, the trail is fine. 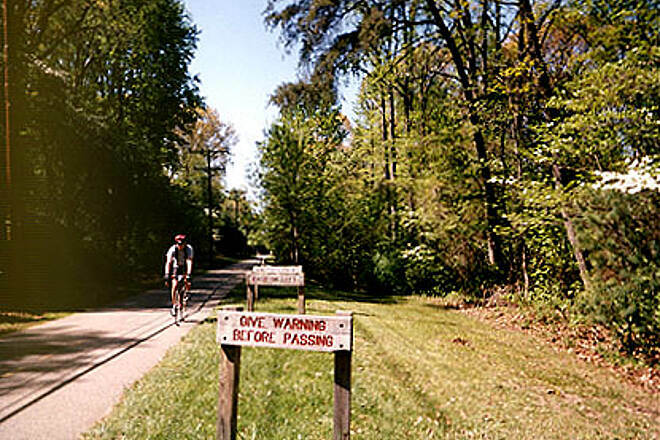 Most of the people riding the trail or walking it fit the general demographic of America, and were quite friendly when I passed with a gentle "on your left, passing on the left," which is the custom in Northern Virginia on the WO&D Trail which I ride most often. I felt the trail was very safe on a late Saturday afternoon. Perhaps it is different when the ladies are getting their morning exercise. LOL. This ride was refreshing in every way. In comparison, for those people from Northern VA looking for a good safe, well watered, flat bike trail near Annapolis, the B&A is straighter and flatter than the WO&D. It is more suburban than the WO&D is from Sterling to Falls Church, VA. It's character is relaxed, with places to eat, people to see, and a good number of benches for rest if you need that. You see a lot of tree covered, well tended homes and back yards with the occasional shopping area. 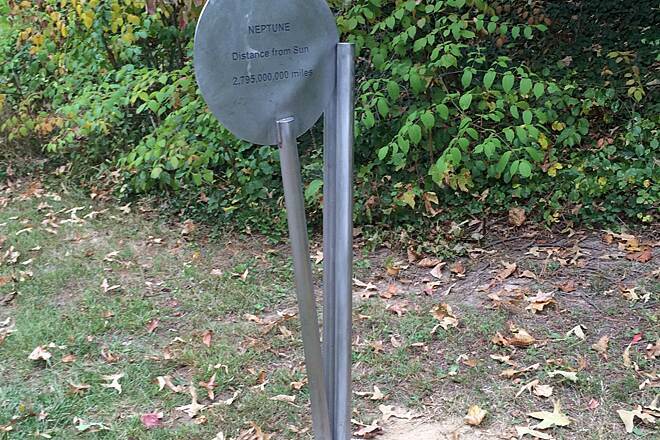 I grew up in Annapolis, so I think this trail is a job well done. I liked it. Dont listen to some people on here I have rode this trail for 15 years and its great! Its so busy on Ritchie hwy these days and when you ride this trail it helps you get away for a bit, yes there are places that need patching and trees cut back but over all this is as good as it gets in our area dont be fooled ride this trail and be nice! There also extending the trail to reach sandy point state park its gonna head down collage park way, YES!! Keep the trail clean and watch out for crazy drivers gang. First, in this area, having a trail is great b/c roads don't have bike lanes and drivers are essentially clueless. However despite that, this trail only gets 1 star b/c it's awful for biking, there are just way too many road crossings, so you'll be getting off your bike or slowing down every 3 or 4 minutes. And then there are the people, I mean, it's a great trail to walk your dog on, but for a biker, people walking their dogs is extreme danger, irregardless of whether they are on a leash of not (in fact, dogs on leashes can be worse than dogs off leash). The trail also goes through one area which isn't very safe (Glen Burnie), just keep your head down and keep a steady pace and pray you don't get a flat in that area. Oh, and besides the danger of dogs (and kids playing), there is the large women's club that likes to walk the trail daily. I mean, good for them, but these large women don't seem to realize that two of them walking together completely block off the entire 8' wide path!! And b/c these are ethnic women, they get uppity when you ring your bell or honk your horn, they seem to get offended that anybody would want to pass them. So basically I find the trail unrideable after about 9am, especially, but not only, on the weekends. So if you have to ride here, get up early, I find I can get a great ride without the biggins blocking the trail if I'm there before 8am. I get here by Light Rail. Take it to the end at Cromwell Station. Avoid rush hour if you take your bike. On the trail I go to the library, Marley Mall for movies and food, post office, etc. There are a few streets to cross but then you get to the main trail, and you can continue to Annapolis. There are many, many places to eat and drink. 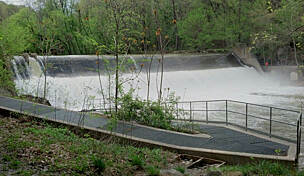 The trail also connects to the BWI trail. Asphalt trail parallels Rte 2 between Annapolis and the BWI area. Convenient if you want to stop for a snack, etc. Occasional reports of crime, so I would not personally travel alone after dark. I loved this trail rode it 12NOV12. Veterans day ride weather was great trail was great. smooth and well taken care of trail family friendly. will do it again very soon. only thing i did not like about it is all the stop signs other than that perfect and the scenery is also great. My brother and I did t his trail 9/11/11 and had a very nice ride. I was some what taken back by how much damage was done by the last two storms came though. Now onto our ride today, it was a on little on the hot side and it was humid but was a very good ride . Lots of people on this trail, walkers, bikers and runners. There is a fair amount of shade so it was not as hot as it could have been. Lots of park benches and picnic tables. I was on my road bike and my brother was on my mt bike with a road tire. He is fifteen years younger the me so we were on a level playing field. This was not on of the best trails I have done but was a very good trail and very well maintained. We did this ride last weekend. We aren't from this area and wasn't sure what to expect. The ride was wonderful- nice paved trails. It was a nice day- not too hot and lots of people out-but very easy to get around. Everyone we met was very nice, talkative and helpful. We found out after we started out the BWI trail connects to this trail in Glen Burnie. We also rode that trail that day. That too was an easy trail to ride and totally paved, park-like in spots and even had a place to watch the planes. We (2 60-year-olds) rode this trail on 7/17/10 starting at the northern end of the trail. Tried to find the trailhead using the google directions from the traillink website, but no success--find another way to get your directions! We parked in the courthouse parking lot and hit the trail. Trail is asphalt and in really good condition all the way. As others have reported, there's a very slight grade up on the return, but nothing we couldn't easily do in moderate gear on our hybrids. Lots of folks out using this trail today, in spite of the 94 degree weather--bikers (both leisure and more serious), roller bladers, families, walkers and joggers--but it was never a problem to keep moving on the trail. People were really good about keeping to the right and passing on the left. About a mile from the end, we found Naval Bagels in a small shopping center just off the trail. Had a couple bagel sandwiches and enjoyed their a/c for a bit on our return. (A Subway is in the same center if you don't like bagels). We started our ride about 11 am, and there wasn't much shade; but, in spite of that and the heat, it was a really great ride! The only negative is that there is really only one restroom on the entire trail--at the rangers station. My boyfriend and I enjoyed a wonderful bike ride while staying the weekend in Annapolis. We stayed at The Westin Hotel centrally situated in the city not far from the Maryland state capitol building and close the waterfront. 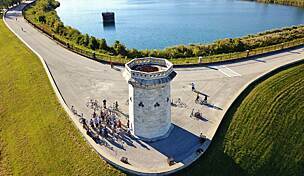 We rode down to the waterfront, around the outside of the Naval Academy (bikes are not allowed inside), then took the rode over the bridge - following the "Bike Route" signs. It must have taken us about 4 miles to get to the start of the B&A Trail. This section was hilly and the hardest part of the ride. We had a wonderful ride and made it to the 7.5 mile marker before turning around. There is a coffee/tea shop right on the trail in Serverna Park that is open for business on weekends – catering to the trail riders. It was great to stop, rest, and enjoy a delicious snack and cold drink. I'd recommend starting your ride on the Annapolis side of the trail. Even though it's a leisurely ride along a very flat asphalt trail there is always a slight directional grade. So it’s easier to ride from Glen Burnie to Annapolis. So our start in Annapolis allowed us to get the harder part over in the beginning of our ride when we had more energy. Really enjoyed this ride - can't wait to do it again! 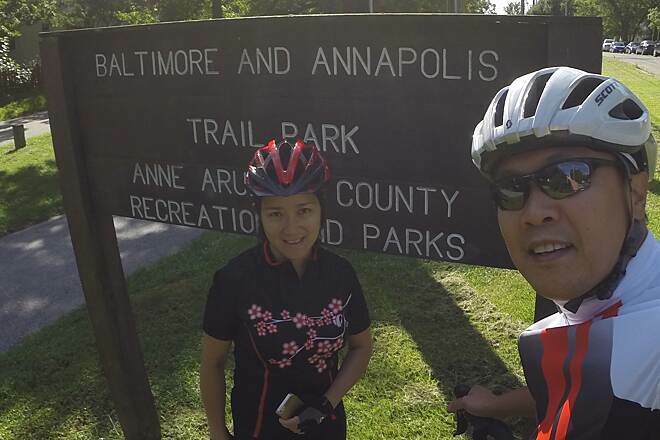 "My wife and I capped off a short trip to Annapolis with a bike ride on this trail. We started at the parking lot off of 450. 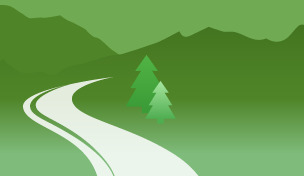 It is true that you must begin with an uphill pedal to access the trail. We went all the way to Glen Burnie turned around and made the return trip. I really enjoyed the southern part of the trail. It was very rural with a lot of foilage. The northern portion is not very scenic. There are lots of stores, malls, and highways. Be careful when crossing streets. There were a few crossings on curves where you had limited sightlines. All and all it was an enjoyable outing." "My wife and I started at the mall (north) because it was easy to find. We were unaware that the south trail head was so far (about 3/4 mile) from the south parking area and RT 450 and a significant hill (down if you're headed south). Being from Pennsylvania, I wouldn't really say that there are hills on the trail but rather slight grades. It's all paved but there's a 15 MPH speed limit so no hot-doggin! :-) "
This is a nice trail to ride. You have hills to overcome and lots of places to get some snacks and food. 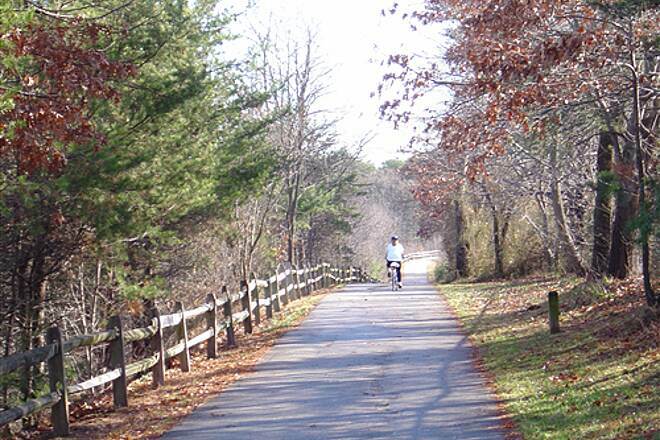 "The next time you ride the B&A Trail try a trip around (2.4 miles) Kinder Farm Park in Severna Park, MD. To get to the park from the B&A, take the East/West Trail 0.7 miles west to the entrance of park. It's worth the time." "I did my first excusion on the B&A today. I was very impressed! As with the last writer, I found parking at the Marley Station Mall to be my best parking option. After three hours of riding, having the food court a few steps away was really a convenience. Rode the entire length. Plus on the south end beyond the trailhead, I rode on Hwy 450 into the City of Annapolis. The whole emergency lane on 450 is for bikes only. There is a very scenic overlook of the Naval Academy just before the Severn River Bridge. I plan to return once more this season to do the BWI Loop on the north end. Lee in Clear Spring, MD"
Go to the back of Marley Station Mall for plenty of parking. After your ride check out Ann's in front of Marley Station Mall and relax with a milkshake or ice cream. "This is a great trail that can be crowded on weekends. 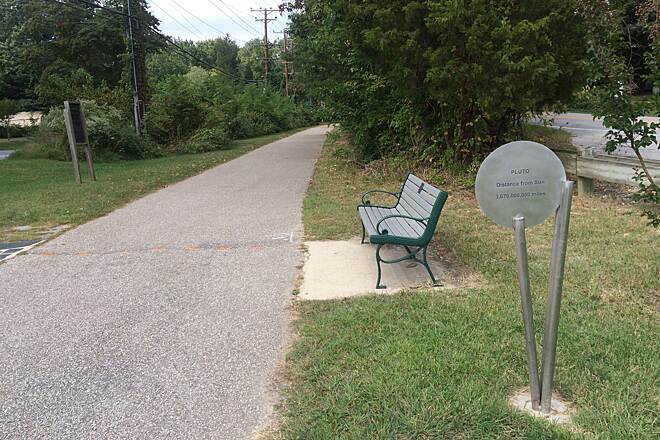 For a nice additional loop of about 12 miles, continue on the north end of the trail where it connects to the BWI loop trail. This circles the airport and offers some awesume views of the runways. Hold onto your hat!"